The linework is finally that one step closer to being finished! So excited to finally be at this point. ^^ I'd like to take the moment to get you guys to look at the rug underneath Cera's bed, please. 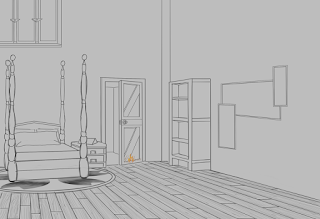 That rug took me about 5 or 6 seconds in total, using the tools that Clip Studio gives. Why wasn't it done earlier? I couldn't convince my lopsided brain that it really didn't take that long at all to do. 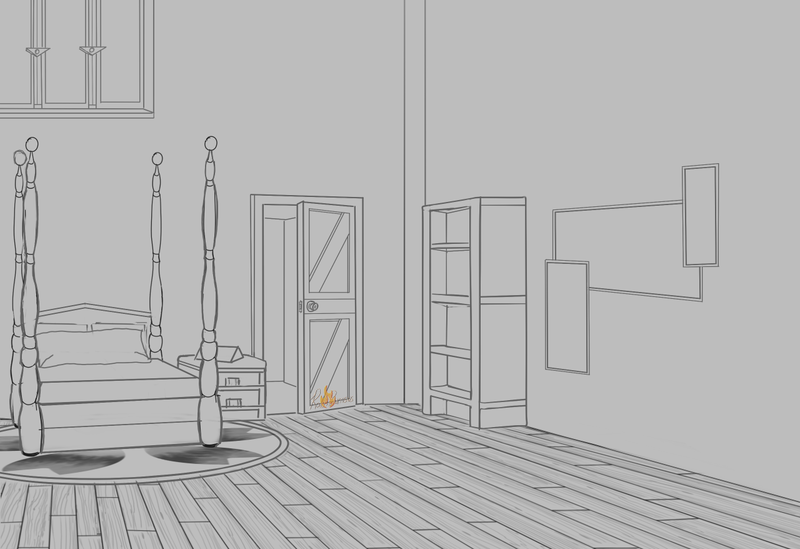 For some reason, it wanted to do this in the same difficult way as I did the 1pt perspective's rug. Why? ...That's a good question. And one that I don't have the answer for. I can tell you that it's a bit embarrassing though!